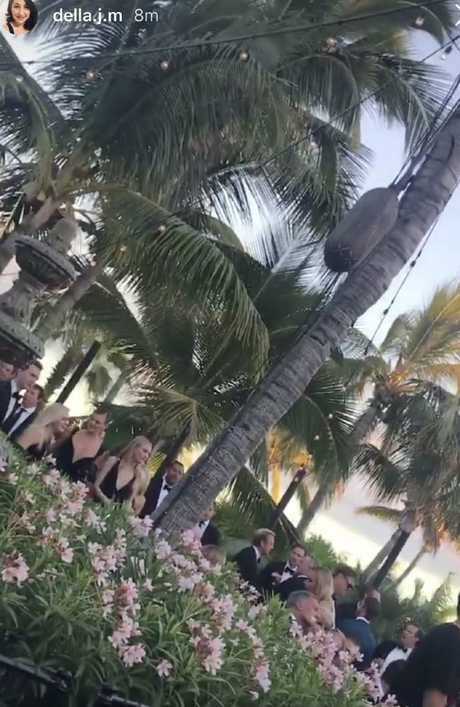 Karl Stefanovic and Jasmine Yarbrough have tied the knot in a stunning evening ceremony in Mexico. 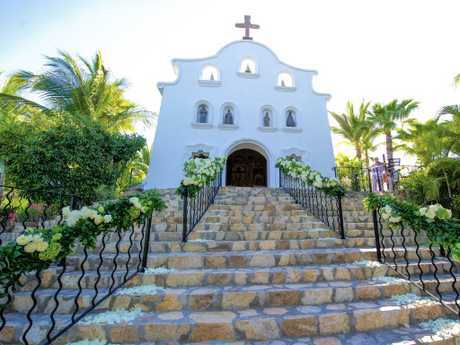 The couple said their "I dos" surrounded by a huge bridal party in front of nearly 200 guests at the top of the stairs of the One&Only Chapel at Palmilla resort in El Cabos. Her seven (seven!) bridesmaids - including high school friends Sarah Johnson, Sophie Pentland, Jimilla Houghton, Stoj Bulic, and Georgie Fleming, sister Jade Yarbrough and and business partner Tamie Ingham - wore black floor-length dresses by Rachel Gilbert. 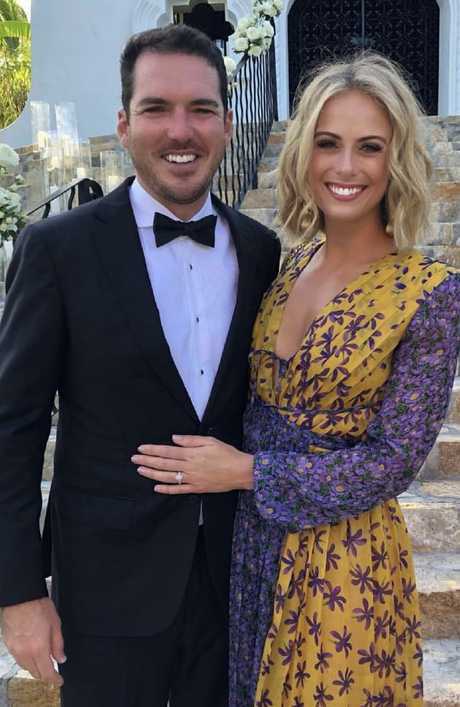 Stefanovic's brother Peter and Today co-host and sister-in-law Sylvia Jeffreys was among those gathered to watch the nuptials. Earlier this afternoon, guests began descending on the outside courtyard of the chapel, ahead of the couple's much anticipated nuptials in Mexico. 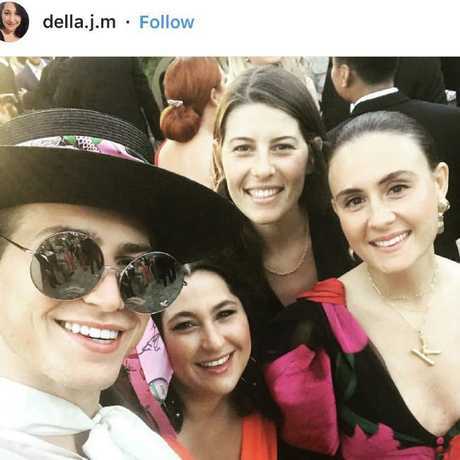 Former My Kitchen Rules contestant Della Muscat posted a photo of a group of guests including Richard Wilkins' son Christian, captioning it simply: "Here we go!" 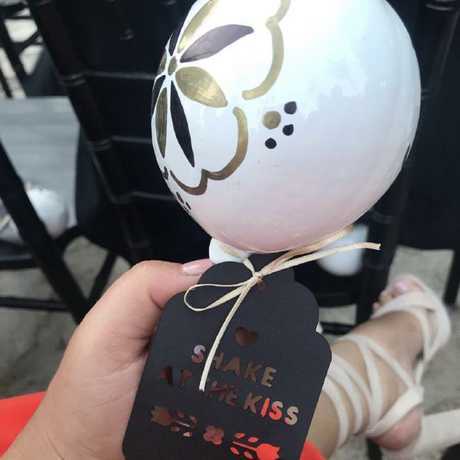 She also shared a photo of the chapel, adorned with flowers for the special event, and the cute trinket handed to guests upon arrival. The chapel, where the couple will soon arrive. British TV presenter and fashion blogger Louise Roe posted a photo outside the chapel. 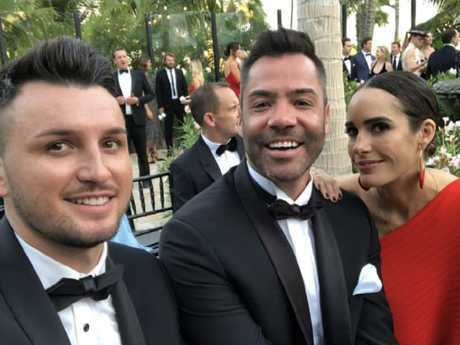 Pro skateboarder and sports broadcaster Corbin Harris also shared a story to his Instagram of himself and fellow attendees - including model Montana Cox - dressed to the nines as they made their way to the venue. Other guests also shared photos of themselves all dressed up for the wedding, using the hashtag #letsgetfizzykarl - a song pun made up of a combination of Yarbrough's nickname and "Karl". 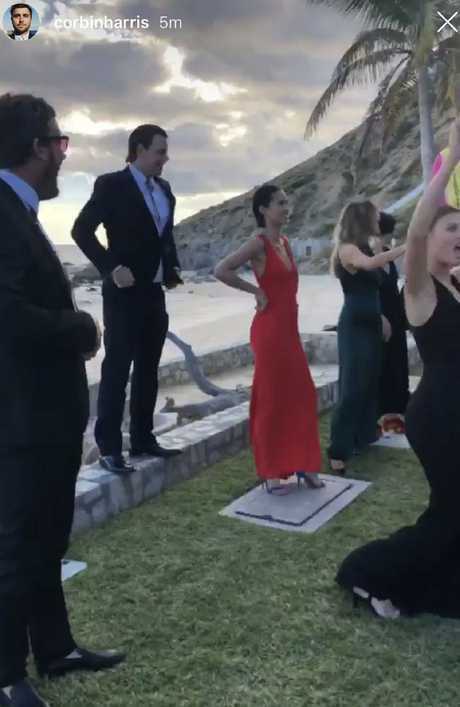 Stefanovic and Yarbrough were wed in a sunset ceremony on the grounds of the lavish One&Only Palmilla resort in Cabo with a reception expected to be held on the beach, where a space age structure was erected earlier in the day. Security around the venue has been escalating all day with the Mexican marines deployed off the shore of the beachside nuptials. A Marinas boat was positioned off the coast of the Baja Peninsula with officers interrogating those aboard smaller boats and issuing warnings and threatening arrest. 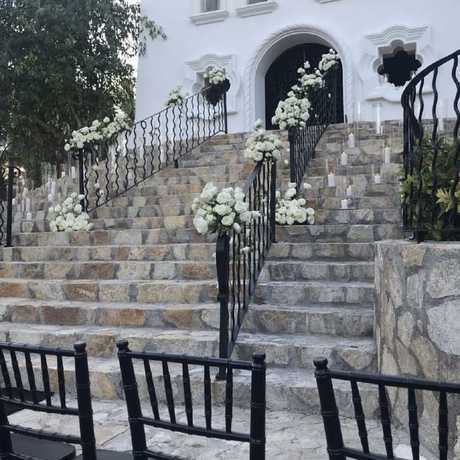 Mexican police toting guns and hotel staff also banned people from the beach that snakes around the front of the exclusive Palmilla resort - the couple's wedding HQ for the weekend. 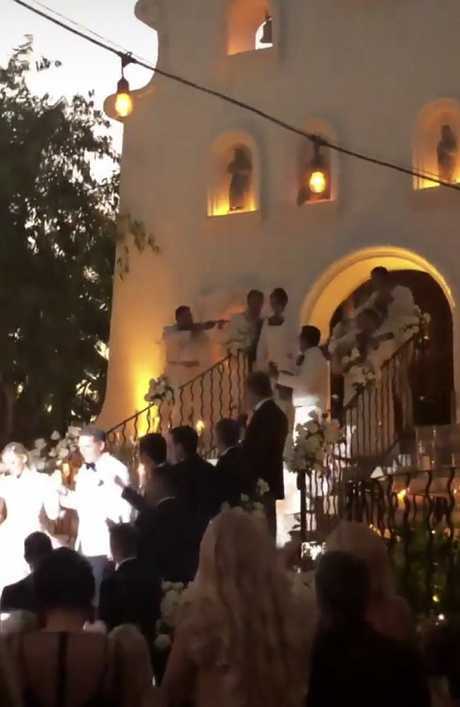 Most of the almost 200 wedding guests who've joined the couple in Cabo were kept in the dark about exact details of the celebrations right up until the start of the wedding ceremony. Karl Stefanovic and Jasmine Yarbrough are about to tie the knot. 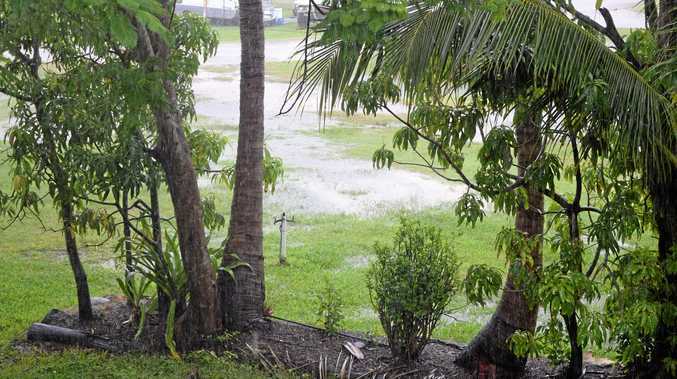 According to news.com.au reporter James Weir, some confused guests in nearby hotels were even overheard asking their concierges if transportation had been organised to pick them up at a certain time for the events. Wedding guests staying at the Hilton Los Cabos had been overheard earlier in the weekend talking about a Studio 54 costume party being part of the weekend celebrations. Former foreign minister Julie Bishop and her partner David Panton are just some of the names on the glitzy guest list - which also includes Stefanovic's Today colleagues Richard Wilkins and Sylvia Jeffreys - but notable high-profile no-shows James Packer, Kyle Sandilands and Alan Jones have taken away a little of the shine. 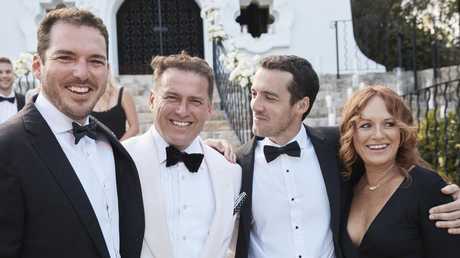 Stefanovic with two of his groomsmen, brothers Pete and Tom, and his sister Elisa. Yarbrough’s dress was incredibly unique. Presumably this is some type of maraca.